With action day looming in March, every Formula One fan is angling to understand what is new and what to expect. Of course everyone has a different interpretation of what is expected to happen because after all, anything can happen in Formula One. No one would have thought Nico Rosberg would not be on the grid after his Championship title, but that’s just Formula One for you. 1. Will Ferrari Turn Up? If the term underwhelming required a new definition, it would aptly fit Ferrari’s season in 2016. After a promising start with and proclamation that the Scuderia could at last challenge Mercedes’ dominance, all hopes went up in smoke. By the end of it all, it was obvious the main driver, Vettel, was out of sorts even with the team. His expletive-laden laced rant to the team in the Mexican GP showed just how frustrated the German was. The question on everyone’s minds now is whether Ferrari will match Red Bull after giving up its 3rd place constructor’s position last year. 2. Can Renault Recoup with Hulkenberg? There is no denying that Nico Hulkenberg is the unluckiest driver because he never gets a top seat yet he is one of the most decent drivers in F1. A look at what he has done with Force India is just evidence enough that the Hulk can fight for podiums with the right car. It is no wonder Renault, which has had a poor year, has made a swoop for him. Is this going to be the impetus Renault needs to make a comeback? 3. Does Stoffel Vandoorne have an X-factor? There is no denying that fans were delighted when Stoffel Vandoorne stood in for Fernando Alonso in Bahrain 2016. He was impressive and now with a top seat, it remains to be seen whether the Belgian can push the new car to its limits. In Alonso, he has a great teacher and he can still push the Spaniard to the edge to claim bragging rights. What you can bet on is that the Belgian has nothing to lose and you might just see another Max Verstappen on the track. 4. 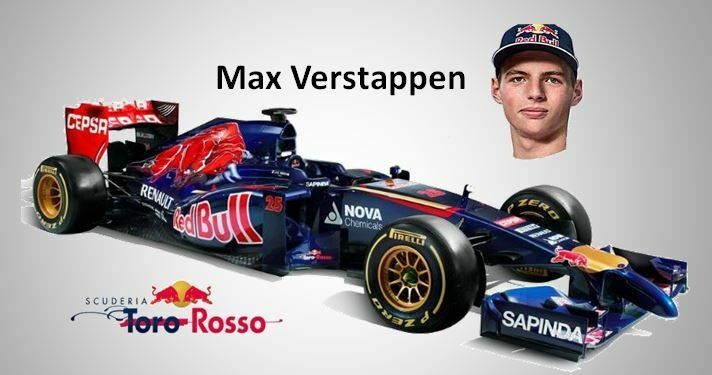 Is this the Year Max wins it? It is too early to write off the likes of Vettel and Hamilton, but if 2016 was anything to go by, you can expect a lot of thrilling races from Max. The Red Bull driver is an asset to every team and it is no wonder Mercedes did not even dare look in his direction when looking for Nico’s replacement. Max is on a learning curve and it is no secret that he is learning fast. Criticism aside, what did everyone expect when giving a teenager a car that makes a road supercar fade in comparison? He is learning and this might just be the year Hamilton starts feeling the heat. So what’s on your mind about the new season? Do you think it will be more exciting? One thing is guaranteed; the cars will be faster so the thrill will increase for sure. What would you do if you were given a chance to recreate a popular event that was last held a century ago? This is the question Russia has had to deal with since the inclusion of the Sochi Autodrom in the 2014 Grand Prix circuit. While most fans regard the Russian GP as a new phenomenon it dates back to 1913 and 1914 at St. Petersburg Square. It can thus be referred to as one of the oldest races but one that has also missed from action for the longest time. These first races were won by G. Suvorin and Willy Scholl respectively but with the outbreak of WW1 it was abandoned. Plans to revive the circuit in the F1 calendar have been in the pipeline for over three decades. Though plans to build a track have existed this long only after a meeting between FIA bosses including Ecclestone and President Vladmir Putin was an agreement signed. The city to host the track is the Black Sea resort city of Sochi which hosted the Winter Olympic Games. Circuit length: The proposed length is a 5.853-kilometre track designed by renowned Hermann Tilke. Location: Sochi and integrated around the Olympic Park infrastructure. The size of the circuit reduces to 13 meters at the narrowest point to 15 meters at the start and finish line. Challenge: With 12 right and six left hand corners drivers are already predicting these to be the main challenges on the track. Last winner: Willy Scholl in 1914 still holds the record as the last winner. When BBC’s David Coulthard joined Sebastian Vettel to try out the circuit the driver felt the track resembled Korea in layout. To come up with a prediction using this experienced driver’s feel of the track any driver who exceled in the Korean GP 2013 can make history on this track. Vettel was of course the 1st in the Korean GP 2013 followed by Raikkonen and Grosjean. Hamilton who is experiencing explosive form this season was 4th. You can bet with all these other drivers in the list not competing for honors the battle between Rosberg and Hamilton will be renewed. Politics aside the Russian GP can join the great races with a rich heritage including Monaco GP if it beats the usual teething problems that come with new tracks. Come October 12th all eyes will be on Sochi to see what it has to offer both fans and drivers.